If you're looking for something weird and different then DC's Young Animal imprint has a title for you. 'Doom Patrol' #1 is refreshingly bizarre and at times confusing tale that is just getting started from the minds of Gerard Way and Nick Derington. DC's "Rebirth" has given new life to long time properties with a reinvigorated storytelling approach that is both entertaining and true to the characters. Way's approach is similar in that he pays homage to Grant Morrison while carving out his own brand of quirkiness. It's a side of the DC universe that we don't see enough, the action and characters that fill the cracks of the larger superhero mosaic. A place where not everything makes sense and it's just accepted as such. There's a sense of whimsy and curiosity that you just roll with. 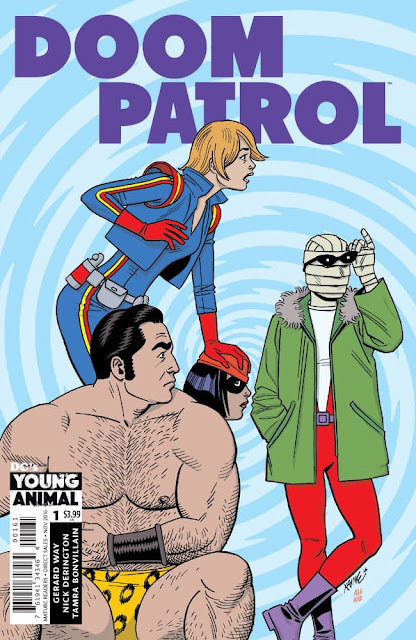 Best thing, you don't have to be well-versed in 'Doom Patrol' to delve into the series. Robotman and Niles Caulder make appearances but it's not their perspective Way uses to guide readers. Instead, it's a couple of normal but awkward EMTs who feel out of place in a world that doesn't understand them totally. Casey and Sam have a good chemistry with some compelling philosophies. Casey is incredibly optimistic and nothing phases her no matter how strange things get. She remains pragmatic and curious with a can-do attitude. You want to follow her wherever she goes to see what she deals with next. Contributing to all the magical surrealism are artists Nick Derington and Tamra Bonvillain. Nick creates some of the best line-work in comics and lays out a fun, if not confusing, sequence of events that draw you in. It's an immersive experience, the attention to detail, the body language, the backgrounds, that causes you to fixate on every panel. Bonvillain lights them on fire with bold color choices that enliven the scenes with a varied palette of hues. 'Doom Patrol' doesn't look like your typical DC Comic and that's a good thing. 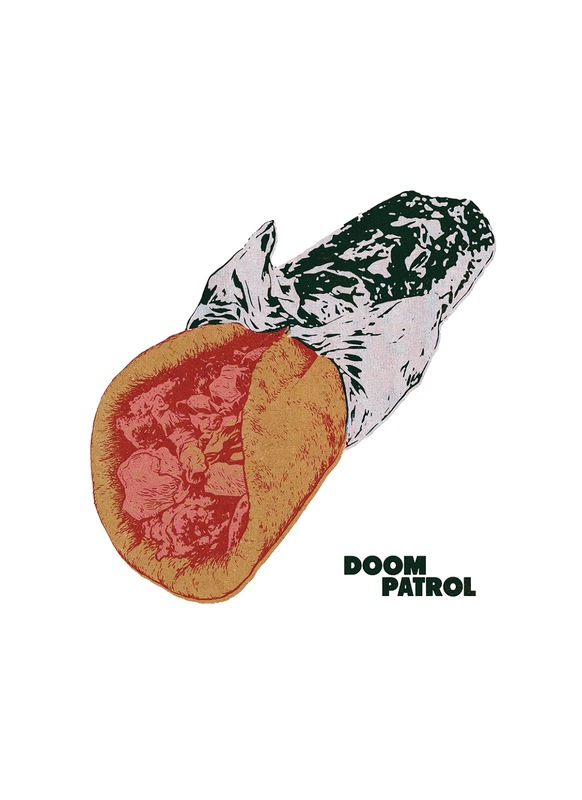 You have to approach 'Doom Patrol' with an open mind and a sense of humor. It's going to take you places you won't expect, leave you asking many questions, most won't be answered yet, but like David Lynch and Tim Burton, it's about the journey into weirdness that counts. Welcome to the corner of the DC universe that feels like Wonderland. So far 'Doom Patrol' is a quirky blast that will leave you "curiouser and curiouser."